General TV Channel / Channel One (formerly TV One or Junior TV) is a television channel in Albania. 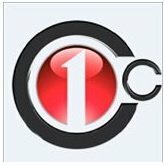 Before establishing the new channel, Channel One was called TV One and before that Junior TV, a 24-hour news television. In late 2012, the channel was closed and within a month, the strategy and name changed, with new studios being built.